So it began. On that historic day of July 20, 2015, the United States and Cuba formally restored diplomatic relations and reopened embassies. It was an honor and privilege to be a witness and guest at that ceremony. On a personal note, this was one more step in the fulfillment of a dream I had on my first trip to Havana in 1999. 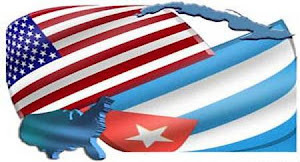 With the United States and Cuba finally engaged in a diplomatic dialogue, the many challenges and issues left from more than five decades will begin to be addressed in a mutually beneficial manner. It’s time to end the embargo, travel restrictions, and engage Cuba fully and respectfully. For those opposed to the normalization, this was a bitter pill for the anti-normalization hardliners to swallow. However, there comes a moment when common sense and logical reasoning must prevail over delusion, intransigence, and hatred. There also must come a point when those elected representatives must respect the will of the majority who want normal and full relations with Cuba. The past five decades of our delusional policies with Cuba demonstrate that we cannot impose democracy, regime change, or anything constructive through a hostile and unilateral sanctions policy. 4) Stop the mass incarceration of our people making the U.S. the highest prison population nation in the world at an annual cost of more than 80 billion dollars for a for-profit prison industry! By the way, we have normal travel and trade with the People's Republic of China and the Kingdom of Saudi Arabia, both one party authoritarian states. We allow for-profit prison industries to exist and thrive in our country. The State of Florida, where most of the anti-normalization representatives are from, is in the top ten list of states with the highest crime rate in the U.S. Florida is also in the top ten of states with the highest prison population. America’s stand for democracy and human rights must not be by imposition but by our own example and congruency of action. So that means we still have a lot of work to do at home before we instruct other countries on how to treat their people. Influence could be actually more powerful and constructive if we try it. Interference does not work and makes us hypocrites in the world community. The U.S. Senate ended last week with the good sense to lift the travel, shipping, and agricultural trade bans on Cuba in the GOP majority Appropriations committee. No Cuban cigars yet though for those cheering this effort. Appropriation bills wind up going to a House Senate Conference Committee where the final compromise between what each house of Congress passed gets worked out. Then the Conference Report has to be agreed upon by each house of Congress. It is possible that the pro-Cuba travel and trade amendments survive the conference (then the ban really gets lifted) or the anti-normalization hardliners try to get that section pulled out. Former Reps. Lincoln Diaz Balart and Tom DeLay did this when the first House passed Flake Amendment lifting the travel ban was pulled out from a House Senate Conference Report in 2003. So stay tuned and informed. Be vigilant.